Join us at the 2017 ACR/ARHP Annual Meeting, November 3 – 8 in San Diego, California. Connect with your colleagues for an unmatched educational experience featuring exceptional sessions from leading rheumatology experts. The American College of Rheumatology’s Annual Meeting is the world’s premier rheumatology meeting. 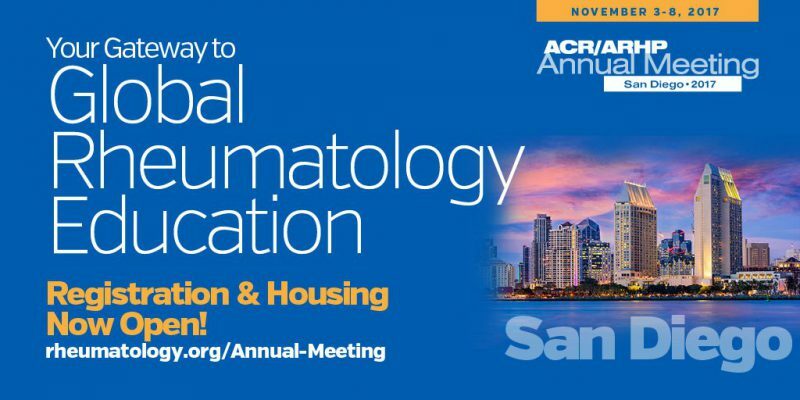 With over 450 educational sessions, the meeting provides boundless opportunities for professional development, networking, and first-hand access to the latest rheumatology research and clinical applications. See 2017 sessions in the Online Program.